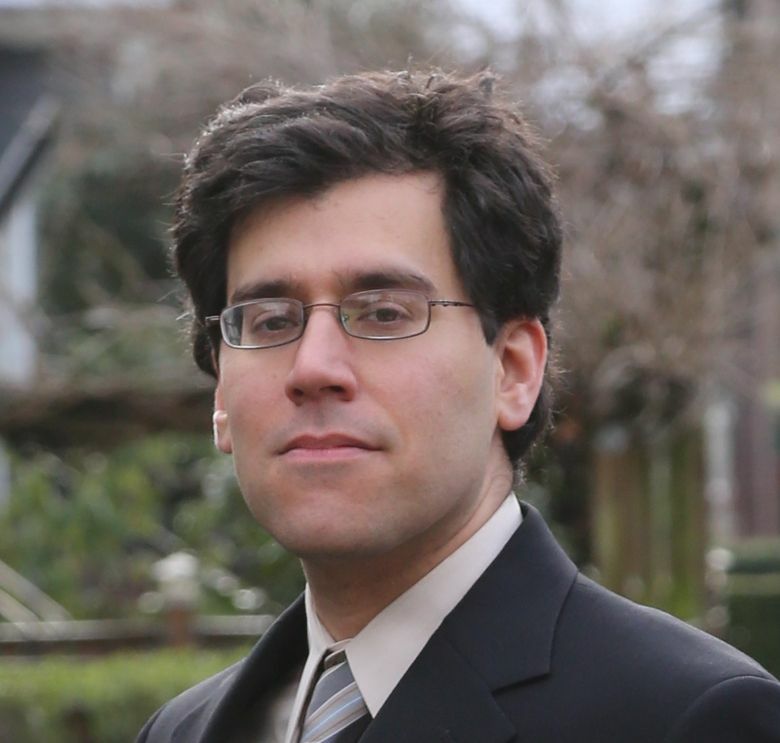 Andres Salomon, a safe-streets activist, has announced that he’ll challenge incumbent Ed Murray for mayor of Seattle. Seattle safe-streets activist Andres Salomon announced Wednesday he’ll run for mayor this year against incumbent Ed Murray. The 36-year-old former programmer has spent the last five years volunteering with Seattle Neighborhood Greenways, an advocacy organization that works to make the city safer for pedestrians and cyclists. Salomon says Murray isn’t doing enough to make the city streets safe. “A large part of the problem right now is the cost of housing,” Salomon said. He says the city should encourage more construction of “missing middle” housing — backyard cottages, duplexes, triplexes and other buildings that are neither single-family homes nor large apartment buildings. Salomon says he’s been wanting to build a backyard cottage himself, for his parents, but has been stymied by regulations. An immigrant who came to the U.S. from Ecuador at age 3 and who’s married to a refugee, Salomon said he’s concerned about the national political climate. “It was incredibly heartening to see the outpouring of support for immigrants shown by Seattle. I’m proud to live in such a progressive city,” he said in a statement.